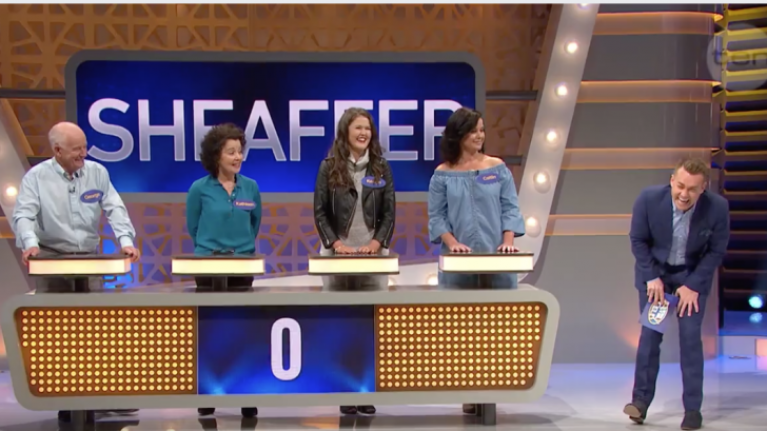 A family originally from Muff in Donegal recently appeared on the Australian version of the hit show Family Feud, where they had a successful visit and left with a cool $10,000 (€6,802). But host of the show Grant Denyer could hardly concentrate on anything when he was speaking to Caitlin Sheaffer other than the name of the town she was from. While also known for being a border town in Donegal, muff is also a slang word for something else, and poor Grant just couldn't seem to get past it. The original clip of the family has been viewed almost 2.5 million times on Facebook so it's safe to say that the family are now internet famous. But... it wasn't that funny Grant.